The Fire Station is located two blocks south of the geographical centre of the town, in Henty Street, close to the corner of Henty and Pilleau Street. The Fire Station was constructed in 1930, and is a small rendered brick building in the Stripped Classical style typical of conservative municipal buildings in the Interwar period. The building stands addressing the footpath and has a later rolling door for entrance and exit for the Fire Truck. 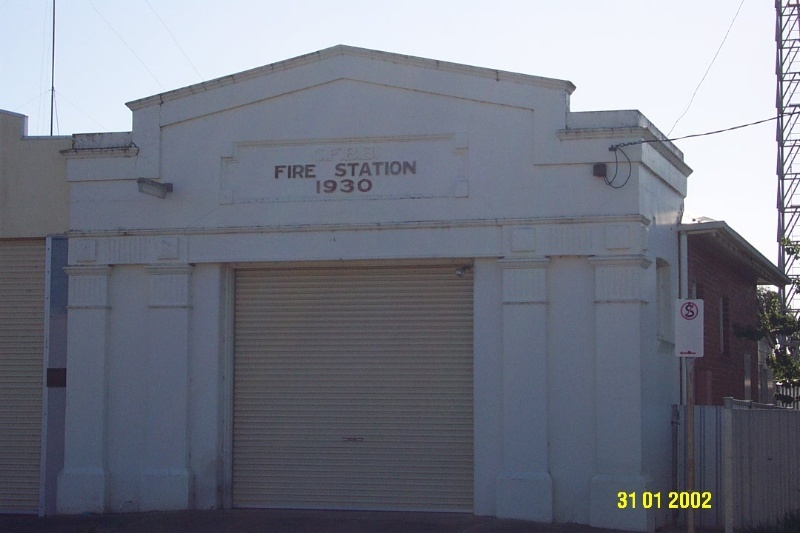 The Fire Station in Henty Street, Coleraine is of architectural and historical significance to the township of Coleraine and the Southern Grampians Shire. The Fire Station is of architectural significance as a typical example of conservative municipal buildings of the Interwar period, using the stripped classical form. It is of historical significance as an early Bush Fire Brigade building (later to become the CFA). It is also of historical significance as it represents the long standing relationship and importance which small country towns place on local fire authority. The building is in very good condition. The fire station is a small brick building in the Stripped Classical style typical of conservative municipal buildings of the Interwar period. It takes the usual form with a large doorway across the front, now with a roller door substituting for the original door which was probably comprised vertical timber leaves with highlight glazing. The facade is rendered and defined with represented structure using a temple form. Either side of the doorway are pairs of pilasters set on plinths which support a heavy frieze into which there is a pediment used as a parapet. There a simple square motifs in the frieze above each of the pilasters. Within the pediment there is a panel with the words "Fire Station 1930". The treatment of the facade returns for about one metre along the side walls. All of the detailing is fine and shallow. The whole trabeated system provides a simple but sombre and sturdy appearance. The side and end walls are plain face brick with high level windows and eaves. The roof is corrugated iron. A second garage has been built on the southern side. There is a tall metal bell tower at the rear of the building.